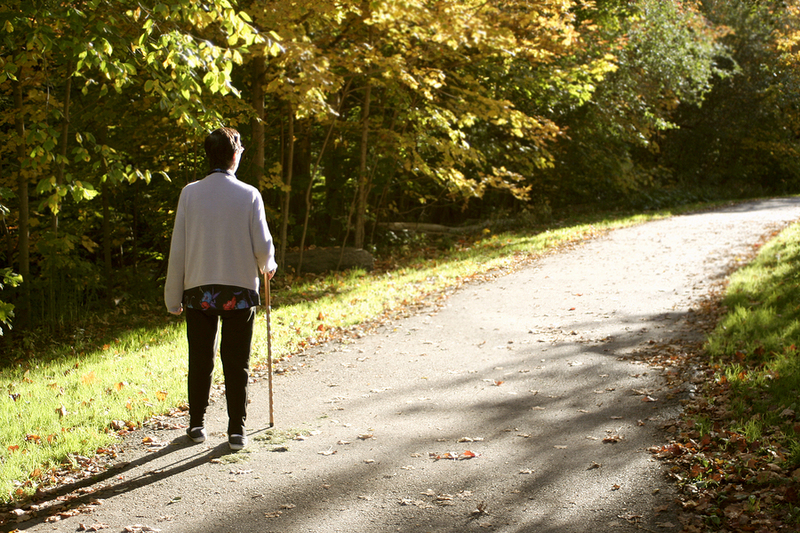 Wandering is one of the most common and most difficult conditions that impacts seniors today, and if you are a caregiver looking to help your loved one with this issue, it can seem overwhelming to say the least. Wandering is most common in seniors with Alzheimer’s, dementia, or signs of early dementia-related issues. It can be nearly impossible to predict and even harder to control. Wandering can be scary for all parties involved. Many times seniors will end up in dangerous situations, outside without coats on or far away from home and not even remember how they got there. However, this doesn’t mean there aren’t some things that senior caregivers can do to help their loved ones with wandering and to make sure they are staying as safe as possible, no matter how often they tend to wander. Here are some tips on how any caregiver can help their loved one with wandering. Make sure to lock all windows and doors in the home before you go to bed. Some seniors may even benefit from the added addition of bars on the windows. Put a bell on the door of your home, if your senior is able to unlock the doors and leave when you aren’t paying attention. This can help alert you of your loved one’s attempt to wander far from home. Put your loved one in brightly colored clothing so they stick out, especially if they tend to wander at night. Be aware of the fact that seniors can wander during the day or at night or even when you may think someone is watching them. Just because you are trying to stay on top of seniors and wandering, it doesn’t mean that they won’t accidentally wander, so you should always play it safe when it comes to dressing your loved one, assuming that they may possibly wander off. Alert your neighbors that you have a senior loved one who is prone to wandering. It can be very helpful to have an extra set of eyes on your loved one in case they wander. Make sure your loved one always has an ID on them. This can be difficult for seniors so consider alternative forms of identification. Popular options include identification jewelry or even temporary tattoos that seniors can wear to alert people of their name, address and basic health information. Increase your loved one’s physical activity. There are many seniors who wander only at night at they wander because they aren’t as tired from the day and aren’t falling asleep and staying asleep at night. Sometimes extra physical activity can help seniors with this. Take your loved one to the doctor if you are worried that there is an underlying cause that may be at the root of their wandering. These little tips can go a really long way in helping any senior who may be prone to wandering. However, one of the best things that a caregiver can do is to try to stay calm, stay vigilant and always be on the lookout for dangers in the home that could cause issues for seniors who tend to wander.